Do you have empty toner cartridges or broken printers piling up in your office space? Give Sunrise Office Systems a call. 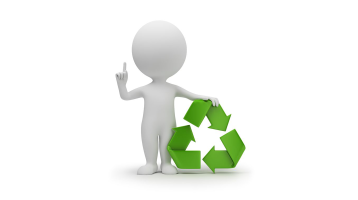 We will pick up your empty cartridges and broken copy machines for recycling at no additional charge. Ink cartridges are a substantial culprit bloating landfills around the world. While many ink cartridges are recycled every year by individual consumers and businesses, up to 375 million more are thrown away. The amount of plastic from ink cartridges trashed in a single year can take hundreds of years to degenerate. Research has shown that the total environmental toll is also taken by the added energy requirements to produce new cartridges. Recycling is a better environmental choice. While many ink production processes are optimized for minimal energy use and biodegradability, they rank low on raw material renewability. Earth’s resources are limited. As much as four percent of the world’s oil and gas production is consumed in the process of making plastics that are discarded within a year of manufacture. In North America alone, more than 40,000 tons of plastic are saved from landfills every year as a result of ink cartridge recycling, and that number could be much higher with your help. In addition to traditional recycling methods that re-purpose the plastic and metal components, ink cartridges can be refilled and reused to save hefty material costs of producing new cartridges to replace old ones. Recycling allows raw materials to be reused, which saves the natural resources that would normally be expended making new ones, but this isn’t the only way that helps environment. Recycling cartridges reduces air and water pollution as well as emissions associated with landfill processing and incineration. In fact, carbon dioxide emissions can be cut 89 percent by re-manufacturing ink cartridges from old ones. The average toner cartridge weighs 2.5 pounds, takes half a gallon of oil and an extensive manufacturing process to create. By reusing the materials , we reduce energy in the form of water and electricity from the manufacturing process. Recycling ink cartridges through Sunrise Office Systems is free and environmentally sound in many ways! Call our cartridge recycling service today to find out how you can help save our environment by recycling your used ink cartridges at 702-435-9600.